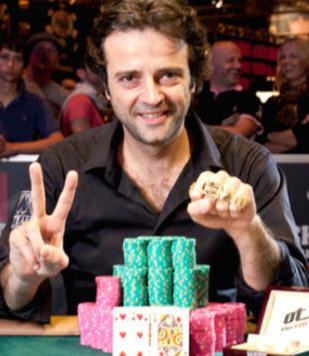 And that VIP party is where you can rub shoulders with poker pro Fabrice Soulier, and given that he’s the 2011 World Series $10k H.O.R.S.E. champion and has over $3.2 million in live tournament winnings, you might consider asking the Frenchman for some poker tips at the party! Of course, the first step involves actually making it to the party and Event 54, which you can do through the various satellites that Everest Poker is running. One way that you can win a prize package is by participating in the $1 Vacation Tournaments each night at 20:00 GMT. These events feature triple rebuys/add-ons, and a $109 tournament coupon will be given out for every $109 in the prize pool. You can then use this coupon to enter the Vegas 2012 Event 54 qualifier that runs every Monday at 19:00 GMT. Another way to bag your WSOP entry and your plane ticket to Vegas involves playing in the daily satellites, which are running from now until June 11th. These satellites range from $1.50-$12, and the top finishers move on to the aforementioned Event 54 qualifiers. One last point worth mentioning is that the 2011 World Series Event 54 offered a $4,118,400 prize pool, and PokerStars pro Maxim Lykov earned $648,880 for winning the tournament. That being the case, it’s definitely worth your time to play for these 2012 prize packages!